From the critically acclaimed and best-selling author of Son of the Morning Star and Deus Lo Volt! comes a biography that breaks the mold-recounting with stunning immediacy the uncommon genius behind the renowned Spanish painter. Darkly brilliant and casually masterful in turn, Francisco Goya changed art forever. During the days of the Spanish Inquisition, Goya painted royalty, street urchins, and demons with the same brush, bringing his own distinctive touch to each.This unusual man and his ghastly times are the perfect subject for Evan S. Connell, one of our greatest and least conventional writers. 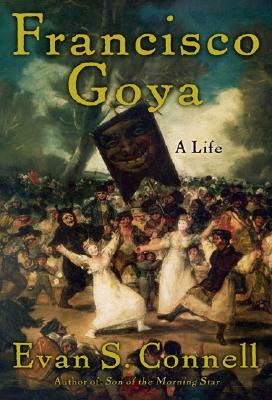 Introducing a wealth of detail and a cast of comic characters-a motley group of dukes, queens, and artists, as lewd and incorrigible a crew as history has ever produced-Connell has conjured Goya’s life with wit, erudition, and a sparkling imagination.